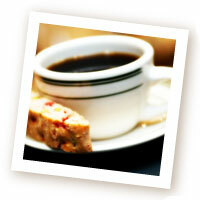 Highland Coffees provides its customers with coffees that have the most exceptional coffee taste. Certain characteristics are considered when approaching the subject of coffee taste. The four major categories to notice when evaluating the taste of coffee are Aroma, Acidity, Body, and Flavor. Aroma is the first impression, the fragrance of the brewed coffee. Terms used to describe the coffee’s aroma include floral, spicy, delicate, intense, nutty, and smoky. In coffee lingo, acidity is a positive term, a pleasant tartness, snap, or brightness in the cup. Body is the sensation of weight, from light to heavy, that the coffee leaves on the tongue. This term describes the overall combination of aroma, acidity, body, and other characteristics. The coffee’s complexity, balance, and depth are elements that are considered. Specific attributes, such as mellow, clean, and exotic, and hints of fruits, nuts, spices, and chocolate, are noted. Chemical analysis shows that coffee contains hundreds of flavor components. For this reason, describing coffees can be difficult, even for experts. Not only is the beverage inherently complex, but it also possesses differing taste profiles among producing countries, among regions within each country, and even among specific areas within each region. In addition to location, other factors that affect coffee characteristics include: plant variety; growing, harvesting, and processing techniques; green and roasted coffee freshness; degree of roast; and coffee preparation method. Weather conditions throughout the year also cause coffee flavors to vary from harvest to harvest within a given growing area. In very general terms only, coffees from certain countries tend to share characteristics with coffees from nearby countries. The following descriptions broadly capture the coffee taste profiles from the three major parts of the world that produce fine coffees. East Africa and Arabia: Coffees from these countries tend to be more striking and intense than coffees from other areas. They are often high in acidity and medium to high in body. Floral aromas and deep notes of citrus and berries are common in the best coffees from this part of the world. The Americas: Coffees from the Americas generally have a cleaner, smoother, milder profile than those from other areas. They tend to have a lively acidity and medium body. Look for hints of roasted nuts and chocolate. Indonesia and Surroundings: The islands of the Malay Archipelago tend to produce coffees that are complex yet mellow. They are often low to medium in acidity and heavy in body, and they tend to feature deep earthy tones. Ultimately, organizing coffee taste profiles by country of origin is just a helpful way to begin thinking about how flavors vary from one coffee to another. The goal, when considering taste profiles, is always to try to appreciate what makes each specialty coffee unique and to discover which coffees are one’s favorites.